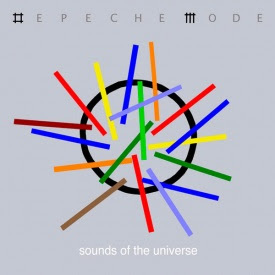 Depeche Mode - Sounds of the Universe - The twelfth album from the veteran British synth-pop act. The band is slated to come to Chicago in August to headline Lollapalooza. Tinted Windows - self-titled LP - The debut LP from the world's newest (and most unlikely) supergroup, which consists of James Iha from The Smashing Pumpkins, Taylor Hanson from Hanson, Bun E. Carlos from Cheap Trick and Adam Schlesinger from Fountains of Wayne. The formula is pure power pop, with tunes such as lead single "Kind of a Girl" and "Messing With My Head" offering loads of high energy hooks. Art Brut - Art Brut vs. Satan - The band's third album is produced by Frank Black and features lead single "Alcoholics Unanimous." Jane's Addiction - Cabinet of Curiosities - A box set that includes demos, outtakes and live recordings over three CDs, in addition to a DVD that features music videos, a documentary and the films Gift and Soul Kiss. Super Furry Animals - Dark Days/Light Years -The Welsh psychedelic rockers' ninth album. VitalLight - Against the Wall (single) - New single from the local alternative/electro band. Catch them live on May 13 at Elbo Room and May 30 at Reggie's. Skybox - In a Dream (single) - Following their 2006 debut LP Arco Iris, the band is back with this new single from their upcoming album Morning After Cuts. It is available for free download here.